GBC Pinnacle 27 - 27" thermal roll laminator. Make classroom laminating easier. It features an 8-10 minute warm up time and lightweight auto-grip shafts that make it simple to load the film. Plus, the audible and light indicators will let you know when it's ready for use. Laminate up to 27" wide at speeds up to 10' per minute. The Pinnacle roll film is up to 3 mil thick. It also features auto-reverse and footage counter for ease of use and the ultimate classroom versatility. It is backed by a 1 year warranty for its durability and reliability. GBC Pinnacle 27 - 27" thermal roll laminator. GBC Pinnacle 27 laminator is designed with educators in mind and makes laminating an easy and hassle free process! 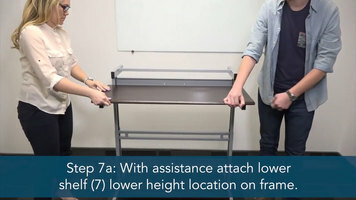 Assemble your Luxor 40" wide stand-up desk by following along with this easy, step-by-step tutorial. Looking for the perfect trash bin for your business? We offer a wide selection of durable bins that vary in color, material, capacity, and more! You can even choose a trash bin based on space availability. 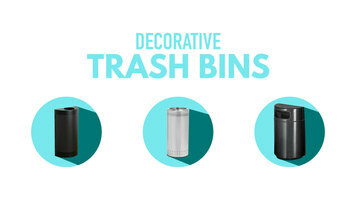 Add unmatched style with our bins today! 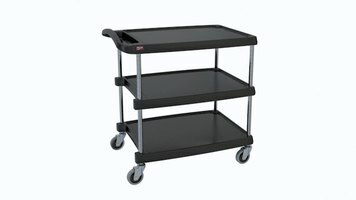 Get the most out of your new purchase by watching this easy-to-follow video that shows you how to assemble your new Metro myCart!